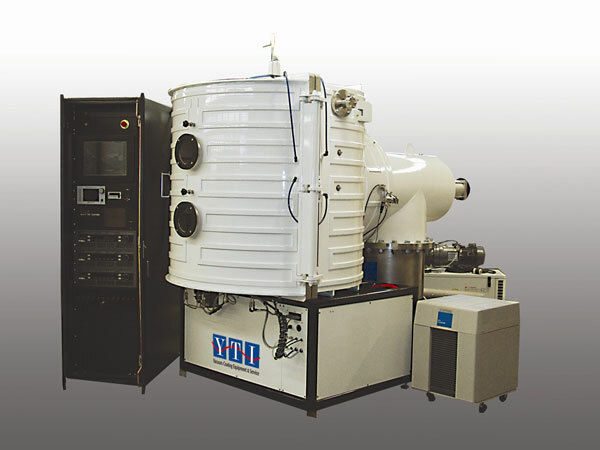 YTI is the place to find the highest quality in refurbished vacuum coating equipment to meet your precision requirements. We sustain an extensive inventory of bell jars and box coaters equipped with electron beam sources and/or thermal deposition sources. We also maintain a variety of load-lock, in-line, and batch sputtering systems equipped with RF or DC supplies and utilizing magnetron or diode cathodes. The equipment can be purchased in “as is” condition or, if you need to start production quickly, YTI can provide the service required to assure the system will be operational when delivered. Any system can also be customized to meet your specific requirements. Please call for pricing on currently available systems.